We've not met Chuck Leypoldt, but the family name will ring a bell with many residents of Dawes County. 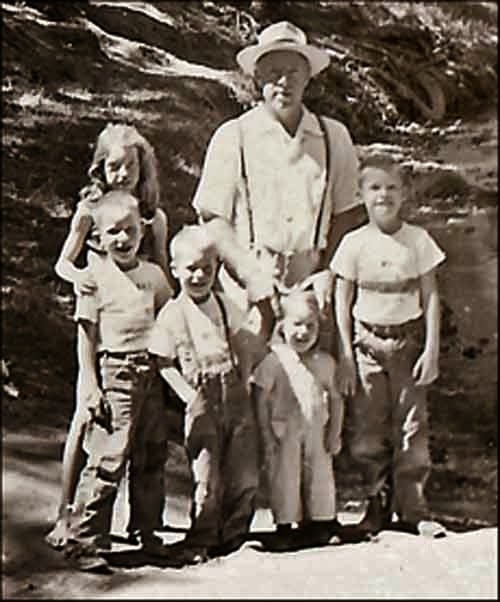 several of his children, circa mid-1950s. In recent years, Chuck's son, Seth, was pastor of the United Methodist Church in Chadron from 2005 to 2012. However, a couple of generations ago the Leypoldt family called Crawford home. Seth's grandfather was something of a "circuit rider" for area Methodist churches, living and ministering to a congregation in Crawford and scooting up and down U.S. Highway 20 to serve the congregation at Whitney's Warring Methodist Church as well. We met up with Chuck via e-mail a couple of years ago, and he was kind enough to share a photo of his siblings and dad (shown here) that was likely taken at Chadron State Park. 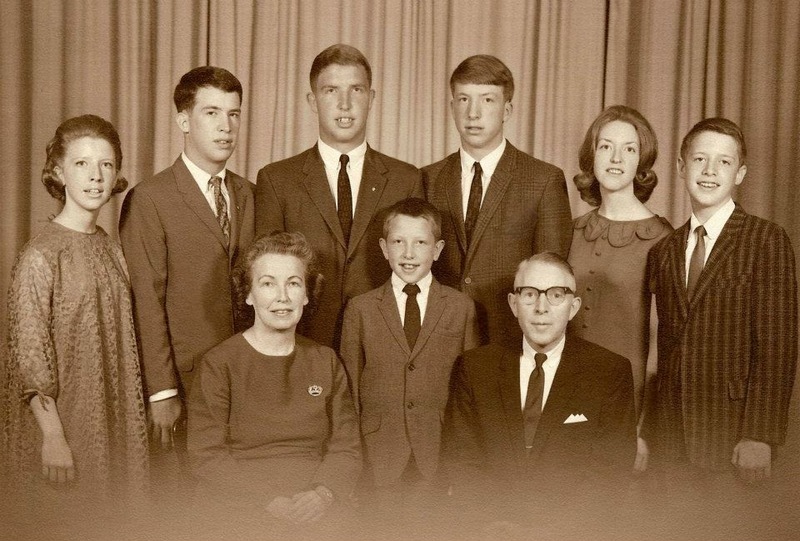 Like his father, Chuck also served as a Methodist minister for many years, and then added several working years to his resume in the banking and insurance businesses. He's retired now and calls Lincoln, Nebraska home. Chuck says he spends much of his time keeping up with his family, taking photos of church art (he's dubbed himself the "Steeple Chaser") and writing. We've enjoyed his many online postings at pylodet.com, but he's also assembled a 280-page family memoir of years criss-crossing Nebraska as son of a pastor, pastor, and father of a pastor. It's entitled "Lost in Wonder, Love and Praise." We're delighted that Chuck Leypoldt has allowed us to share an excerpt from his book. In fact, it's all of Chapter 5, recounting the Leypoldt years in Crawford in the mid-1950s, and you can read it here: "The Garden Beyond the Sandhills." Chuck's website also notes that he's taken some 20,000 pictures of church art, and you'll find many of them online and in his book, which you can order by going to: Lost in Wonder, Love and Praise.